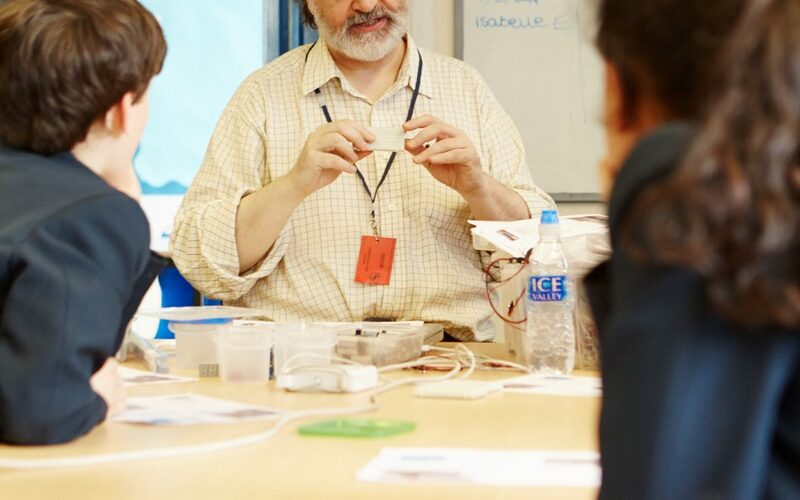 Garry Bulmer, long time expert in the field of computing – especially Arduinos and embedded computing – has been introducing electronics and coding to BCA schools. 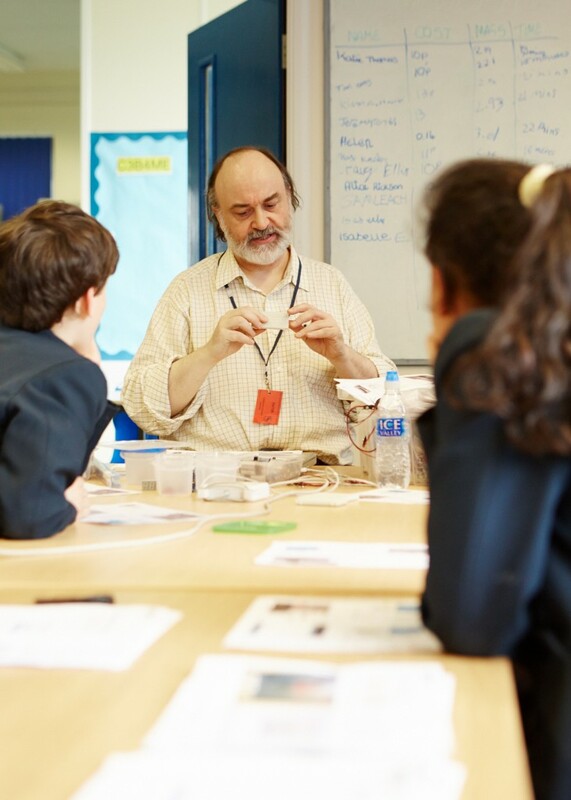 This week Garry was at Sir Thomas Fremantle School, a Free School in Buckinghamshire, to help Art and Physics teachers introduce basic circuits. During the rest of the term students move onto interactive projects using the Arduino platform. Helen Cole, Head of Art and 3D Technology was surprised how engaged her Year 8 students were, and the sense of pride and achievement pupils felt when they successfully set up and debugged basic electronic circuits. Dr Ritzieri, Head of Physics and leading Year 9 pupils, was equally amazed how students were absorbed in the project. We all completely lost track of time! Sir Thomas Fremantle is one of the most innovative schools in the Free School movement. BCA has been working closely with the school to support their 3D printing and smart technologies programme. To find out more about BCA’s work with the school please get in touch via the BCA website. You can find out more about Free Schools here.